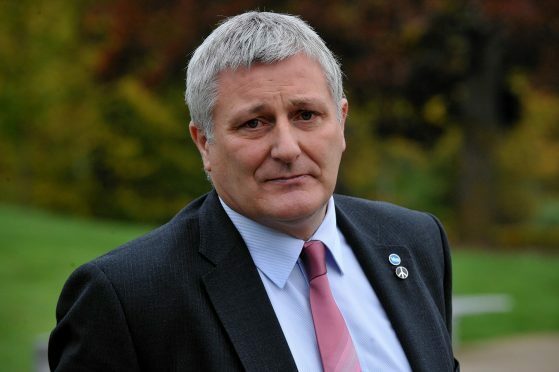 Green MSP John Finnie said he thought “only the major cities” would consider imposing the charge, which could result in commuters pay around £400 per year for driving to work. But Mr Finnie’s attempts to reassure those living in the more far-flung areas of Scotland were described as “missing the point” by the tax’s critics. Mr Finnie pointed out that Nottingham, where motorists are charged £415 for parking at work, was the only place to have introduced the tax so far. “Given that the power has been available to authorities in England and Wales for many years and only one authority – Nottingham – has chosen to use it, I think it is highly likely that only the major cities would consider it,” he said. The parking tax has been backed by the Scottish Government as part of the SNP’s deal with the Greens to get Finance Secretary Derek Mackay’s budget through parliament. Mr Finnie, who has long argued that local authorities should have the power to impose the charge, has said he will take responsibility for amending the Transport (Scotland) Bill to create the tax. Already the proposal has seen a fierce backlash, with the Scottish Conservatives arguing it will penalise hard working employees. The Tories have also argued that it will hit rural commuters who have no option other than to drive to work in major cities such as Aberdeen. Last night North East MSP Peter Chapman said: “John Finnie is fundamentally missing the point. It is commuters in places like Aberdeenshire that will most affected by this ill-thought tax – not those who live in cities. It is incredibly short-sighted to say this only applies in urban areas. The Conservatives also argued that if the tax were to be passed on to employees, it would be subject to VAT. If councils impose the charge, it could take the cost to almost £500 for each taxpayer who chooses to drive to work. Mr Finnie went on to defend his plan, arguing that it will improve the environment as well as the health of those exposed to pollution. “Properly applied such a scheme reduces the likelihood of people taking their vehicle into the city centre,” he said.